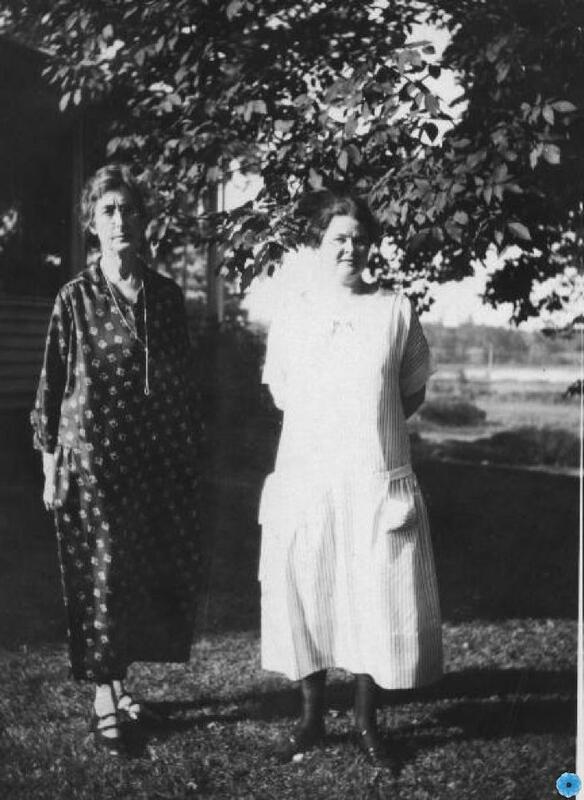 Scope & Content: Ma & Elsie Waters standing out in the lawn. Both are wearing dresses. Ma is wearing a long pearl necklace.